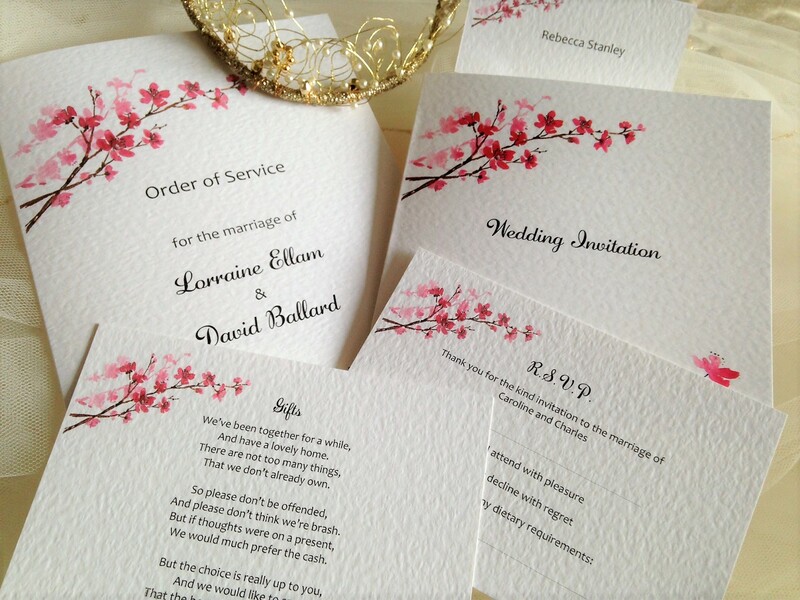 Cherry Blossom Order of Service Books – our smaller A6 books are suitable for all types of wedding ceremony. 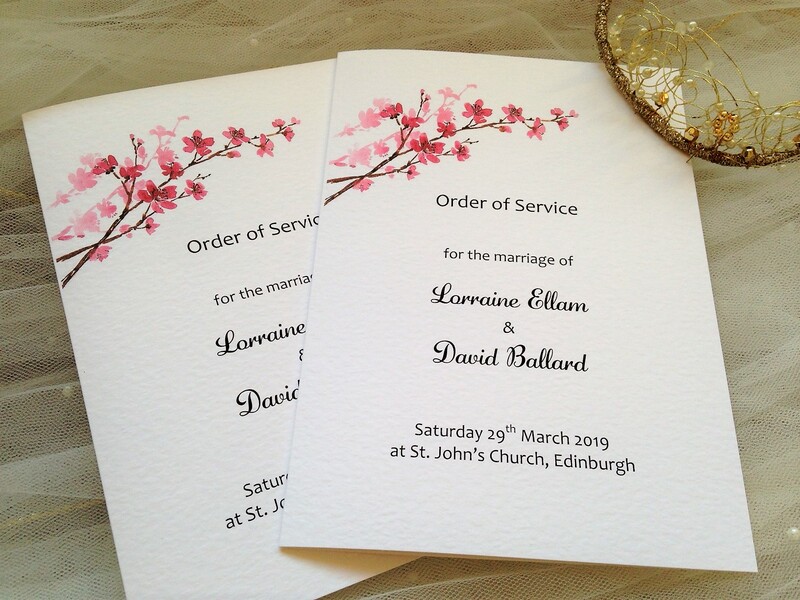 Our books are printed with all personalised details regarding the wedding ceremony including hymns/songs, readings and prayers for church weddings. 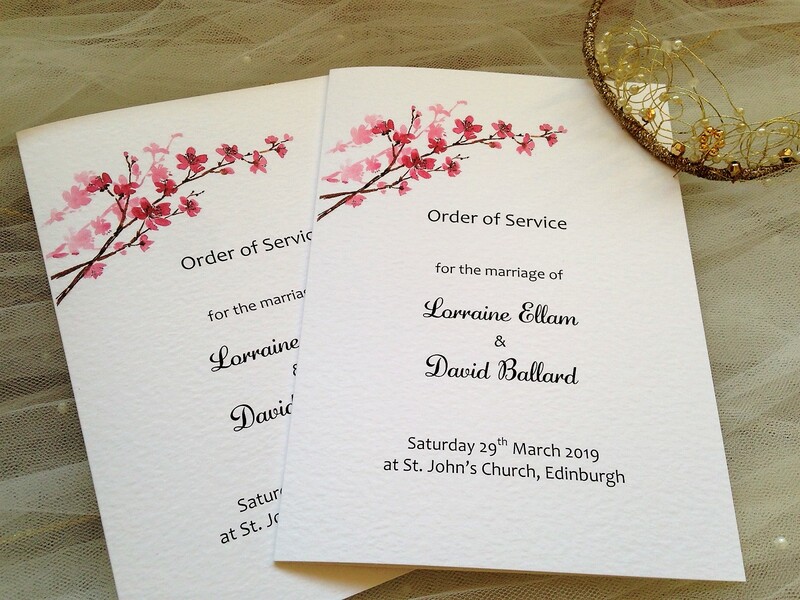 Cherry Blossom Order of Service Books also make a lovely memento of the day, as guests like to take them home. 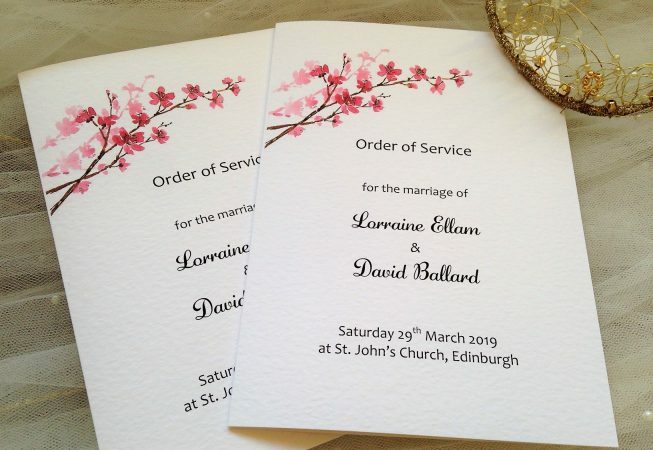 Please note: the smaller A6 wedding order of service books are not available with paper inserts. 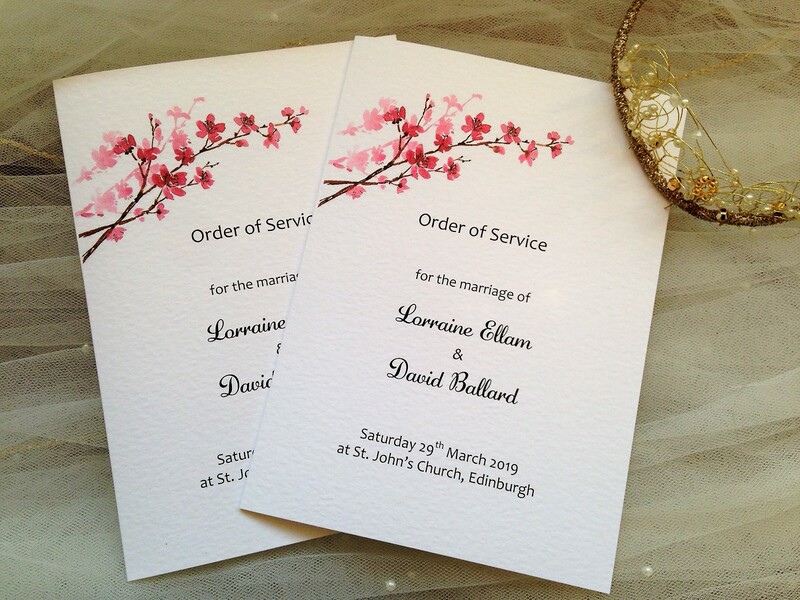 The A6 Cherry Blossom Wedding Order of Service Books form part of our Cherry Blossom Wedding Stationery Range.